I was stuck in traffic earlier this summer in the Keys. It was Mini Lobster season. Usually they aren't this big! But rather the shortness of that particular season. 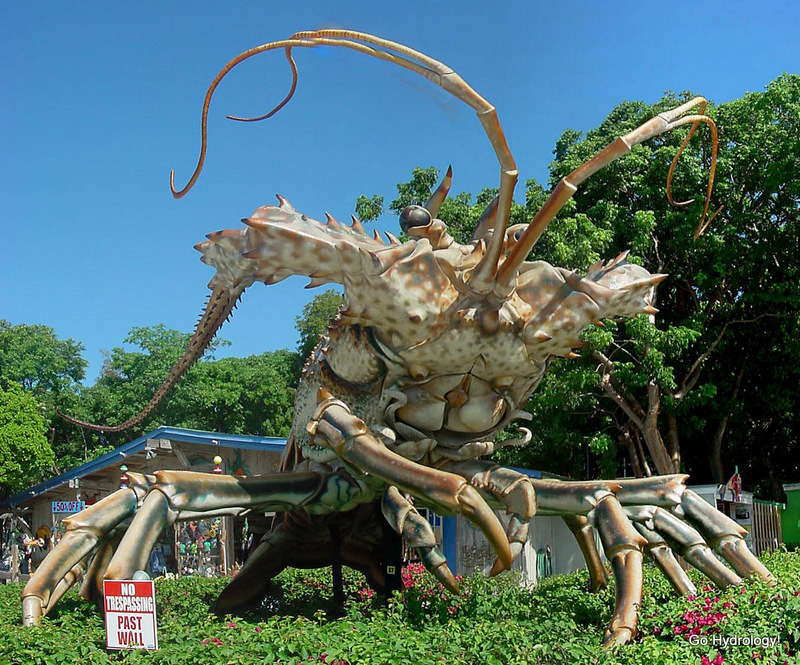 Regular spiny lobster season runs from August 6 through March 31. Lobster Mini Season (not to be confused with Mini Lobster season) runs for two days in the last consecutive Wednesday and Thursday in July. There must be a good reason for that. That lobster would give me nightmares! The mini season is a strange one, though. It's spider-like in its appearance and is a bit frightening. So just to be clear - it's ok to trespass...just not past the wall?